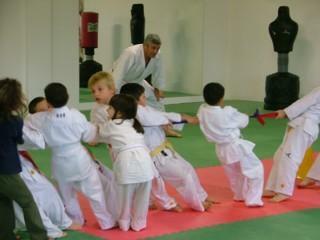 Martial arts are a traditional way of learning and mastering a form of self-defense. With a good teacher, they also encompass numerous other beneficial elements, such as fitness, sport, self-confidence, mental discipline and meditation. 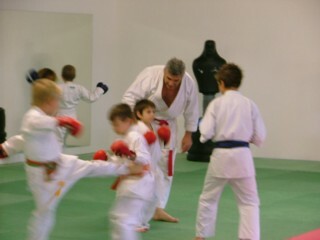 Our boys both have karate lessons at the Ecole Limouxine d'Arts Martiaux - (The Martial Arts School of Limoux, Languedoc Roussillon), which they absolutely love. 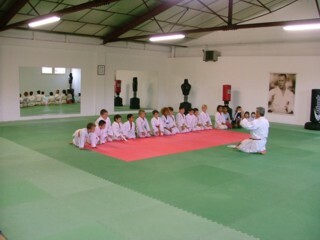 You can also read information on Viet Vo Dao in Montpellier (in French). 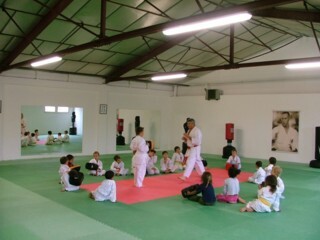 The teacher at the school, Jean-François Tisseyre, is a highly accomplished karate expert and while he is extremely strict with the children, he also shows all the human skills necessary to fulfil his role - kindness, confidence, a sense of humour, etc. 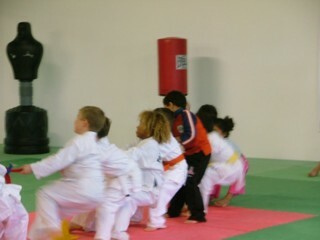 He also offers kick boxing lessons and provides lessons to both adults and children. There is a great diversity and abundance of martial arts, some are linked to spiritual or religious beliefs/philosophies such as Buddhism or Shinto while others have their own spiritual or non-spiritual code of honor. 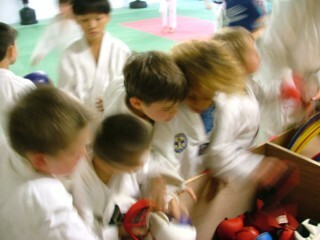 While each style has unique facets that makes it different from other martial arts, a common characteristic is the systemization of fighting techniques. 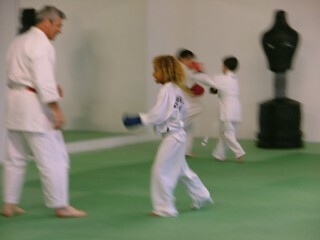 One common method of training, particularly in the Asian martial arts, is the form or kata; these are sets or routines of techniques that are performed alone, or sometimes with a partner. We find that the ritual associated with the children's learning aids them greatly and helps them to ground themselves during each lesson. 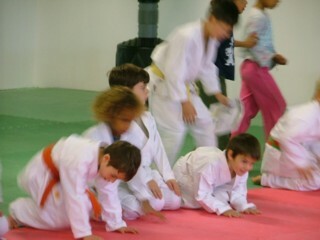 (Free style training) Nouveau ! 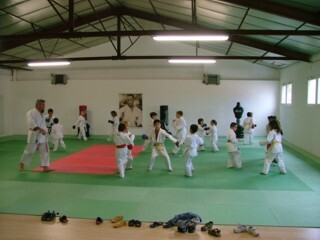 The Ecole Limouxine d'Arts Martiaux provides karate lessons for adults and children and is near Carcassonne and Couiza.